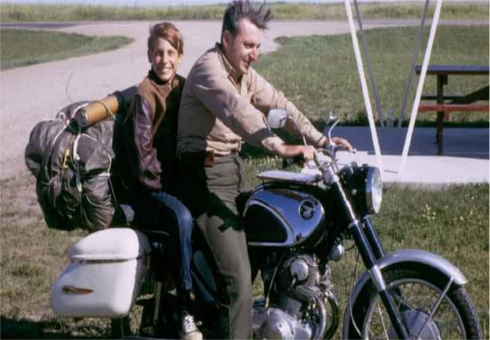 Robert M. Pirsig, who inspired generations to road trip across America with his “novelistic autobiography,” Zen and the Art of Motorcycle Maintenance, died Monday at the age of 88. His publisher William Morrow & Company said in a statement that Pirsig died at his home in South Berwick, Maine, “after a period of failing health,” reports npr.org. Pirsig wrote just two books: Zen (subtitled “An Inquiry Into Values”) and Lila: An Inquiry into Morals. Indeed, the book quickly became a best-seller, and has proved enduring as a work of popular philosophy. A 1968 motorcycle trip across the West with his son Christopher was his inspiration. Christopher Lehmann-Haupt reviewed Zen for The New York Times in 1974. “[H]owever impressive are the seductive powers with which Mr. Pirsig engages us in his motorcycle trip, they are nothing compared to the skill with which he interests us in his philosophic trip,” he wrote. Pirsig was born in Minneapolis, the son of a University of Minnesota law professor. He graduated from high school at 15 and enlisted in the Army after World War II. While stationed in South Korea, he encountered the Asian philosophies that would underpin his work. He went on to study Hindu philosophy in India and for a time was enrolled in a philosophy Ph.D. program at the University of Chicago. He was hospitalized for mental illness and returned to Minneapolis, where he worked as a technical writer and began writing his first book.